……Living as a peasant in Xiaotun he became a parish leader because of his honesty and sincerity. He urged Catholics to be God’s witness…..After being tortured, St. Ting Zhu firmly refused to deny faith. 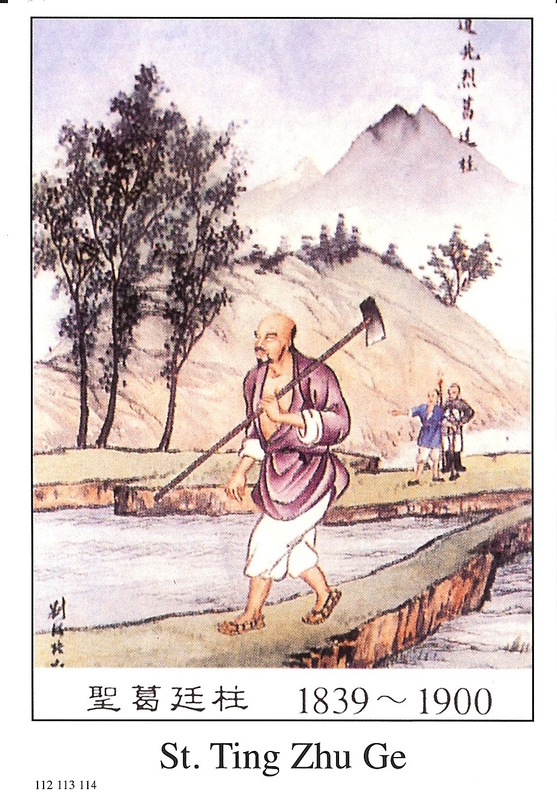 They tied St. Ting Zhu to a tree and were about to execute him when he said that the land was not his….St. Ting Zhu said, “No. I want to save my soul. My body means nothing.” Since the rebels were unable to convince him they dismembered and disemboweled him……….